Josie is getting a taste of St. Louis’s foodie scene—Travel America Guided Tours just hired her to test area restaurants for an upcoming package. Their list includes Tillie’s Off the Hill, a classic Italian joint owned by Tillie Minnelli, a former classmate of Josie’s mother. It should be a pretty sweet gig, but the assignment quickly turns sour when an unruly customer dies after eating Tillie’s special sauce. 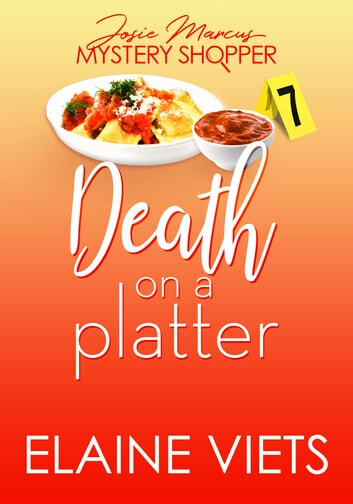 While detectives move to put Tillie on ice for murder, Josie’s mom implores Josie to whip up another amateur investigation. The case has more secret ingredients than anyone anticipated: a jilted lover, a greedy real estate developer, and even a disgruntled employee. 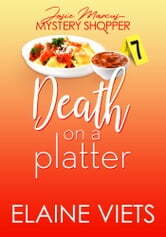 But there’s no time for Josie to savor all the possibilities, she must skewer the culinary killer before someone else is served a final course.